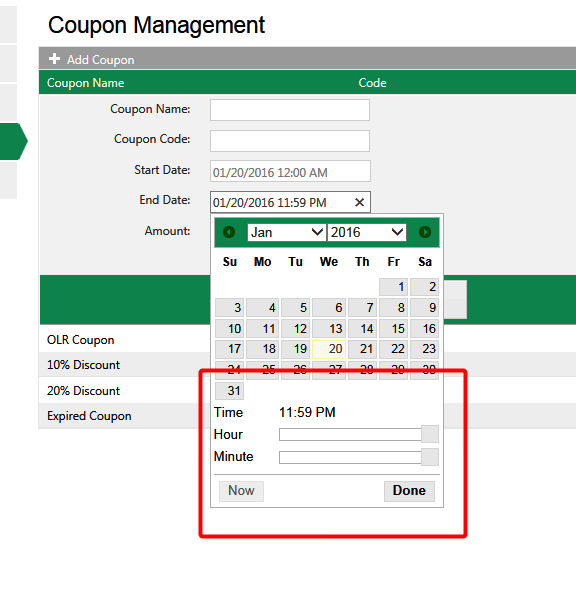 - When adding/editing a coupon, you can set a start time or end time. - Always add a "Start Date" to activate the coupon, however you do not need to enter a "End Date". If no "End Date" is entered the coupon will be open ended and good until closed. Why are the coupons I put into my 'POS' not working?